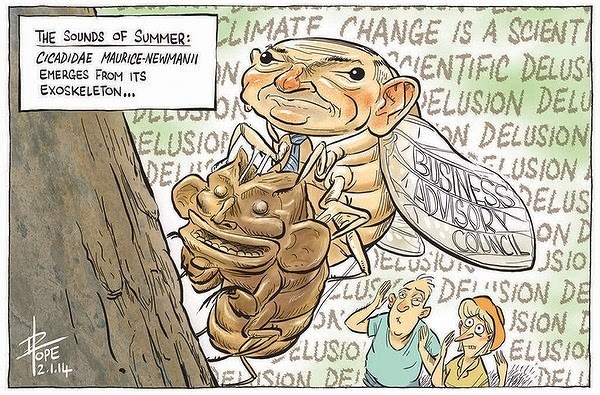 An Abbott Government who neglects and ignores Climate Change. Maurice Newman is one of the battery of minions who are the mouthpiece of an extremist and reactionary Conservative Movement bent on attacking Climate Change. Abbott himself said : Climate Change is Crap. Are those the words of a leader ?